With the help of social media, it has now become possible for the companies to reach an increasing audience. Within a matter of seconds, you can connect to a person sitting in a remote corner of the world. Social media provides numerous opportunities for the small, mid-sized and large businesses to grow their business, increase sales and drive huge traffic back to their website. Social Media Reseller Programs connect businesses to resellers or social media marketing professionals who are offering social marketing services to cater to their needs. These programs offer you everything you need to set up an effective presence for your client’s business online. You do not need to have experience insocial media marketing, but you will be provided all the necessary support, training and guidance to help you become an expert. provided in a Social Media Reseller Program? Branded Website- Resellers will be provided a branded website setup on their own domain. Marketing Material- The resellers will also get pre-designed marketing material under their own brand that they can use with their prospective businesses. Not only this, you will also get access to business assessments, tips and much more. Social Software- Social Software allows you to manage the social media for your clients in just minutes. It helps you monitor the online reputation of the businesses; create giveaways, social deals and sweepstakes. Client Portal- Resellers will have complete access to control what they want to show their businesses in the client portals. They can allow them to view analytics, manage social media and build an online reputation. On-going Training- As mentioned earlier, resellers do not need to have experience in social media marketing, but they will be provided all the necessary training, guidance and support to become an expert. The resellers will also get access to lots of training documents and online tutorials to enhance their skills. Pre-designed content- Resellers will also get access to content that they can use with their existing clients. They will be provided all the necessary help to manage a local business’ social media. Resellers can use the software themselves or sell the access to their customers. Busy schedules leave no time for the business owners to keep a finger on the pulse of their social media accounts. 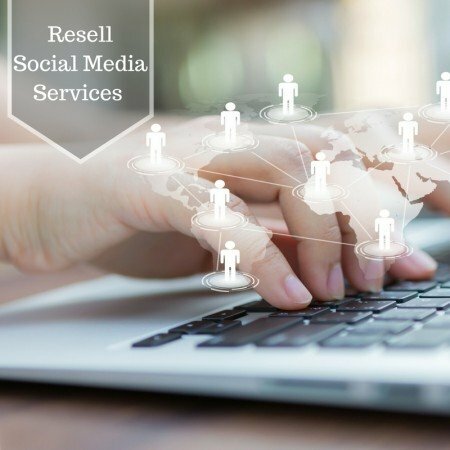 Social media resellers allow their clients to keep an eye on the online reputation of their business, post to various social sites at once, create social deals, giveaways or sweepstakes, and reply to the client messages instantly. Social media marketing resellers are highly beneficial in increasing the reach of the businesses they work for, promoting brand awareness and bringing massive amounts of traffic back to their website. These programs are equally beneficial for resellers and business owners who are looking to manage their social media effectively and earn some profits.